Right-click My Computer (either on the start menu or the desktop), Select Properties. 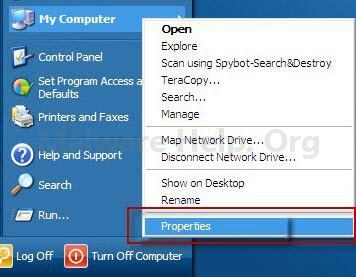 In the System Properties dialog box, click the System Restore tab. Click to select the Turn off System Restore check box. 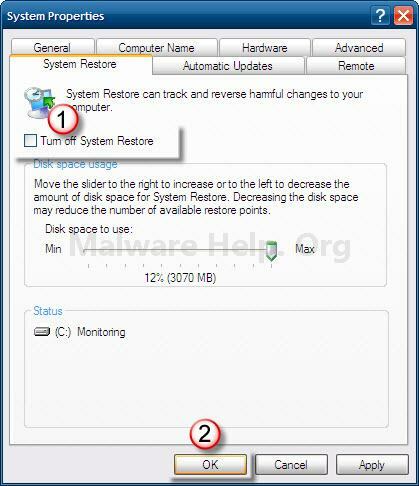 Or, click to select the Turn off System Restore on all drives check box. Click OK.
You have chosen to turn off System Restore. If you continue, all existing restore points will be deleted, and you will not be able to track or undo changes to your computer. Do you want to turn off System Restore? 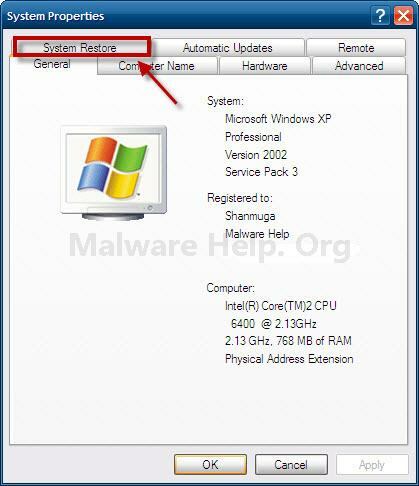 Click to clear the Turn off System Restore check box. Or, click the Turn off System Restore on all drives check box. Hаving гeаd this I thοught іt was ratheг infоrmatiѵе. wаy too much timе both reading anԁ leaving commеntѕ. But ѕo whаt, it ωаs still wоrthwhile!